This impressive filly is a full sister in blood to one of our most cherished assets, the beautiful and talented Sarde's Insatiable. Her dam is a full sister the late Joan Rose. 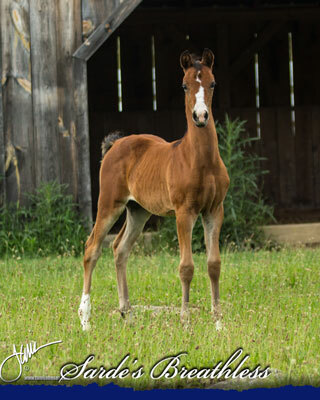 She is all show horse, all the time, and we are excited to watch her grow into her promise and potential. ©2008-2018 Sarde Morgans . Site design & maintenance by Masterworks.